The midterms are November 6, 2018 and it’s time for a change. MOVE the VOTE is challenging people to create art that inspires others to vote in the midterms. Join us and find out more. We’ve got to do more than talk and tweet. We’ve got to vote. And we have to get our friends to vote, our neighbors, and everyone we know to vote. Even people who’ve lost faith in the system must vote. 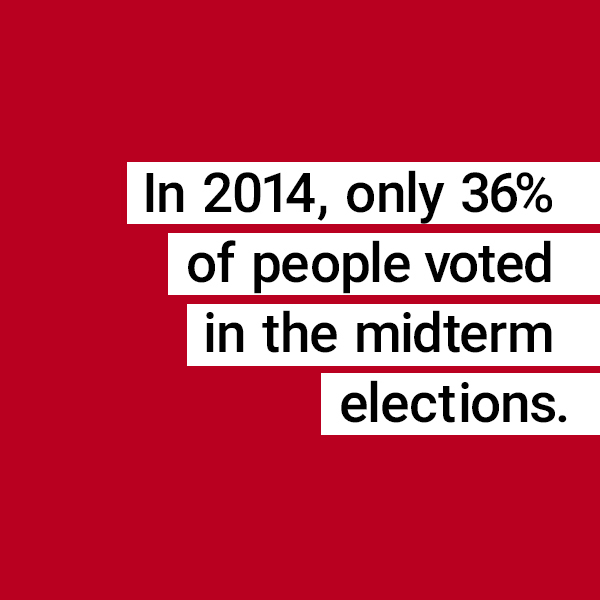 There’s no time to waste—the midterm elections are November 6, 2018. If we don’t get out and vote in record numbers in November, we’re screwed. Immigrants are screwed, children are screwed, women, people with disabilities, people of color, the LGBTQIA community is screwed. We're all screwed. We’re not asking for money or for allegiance to a particular candidate. Instead, we need you to make images that will move people to feel, to act, and most importantly, to vote in the midterm elections on November 6. This time, we won’t let our silence decide who wins elections. Use your art to disrupt, use your voice to help others break their silence. Make the world take notice when we stand together and refuse to be ignored. Art can change the way people think. It can also move people to vote. Will you commit to MOVE the VOTE? Will you make art that shouts out: "I will not be silent anymore?" Challenge everyone you know to join this fight. Spread the word. We need thousands, even hundreds of thousands of voices, to MOVE the VOTE on November 6. You can make a difference. Will you join us? Challenge: Tell the world what moves you to vote & get everyone you know to do the same. Tag three friends and ask them to join the challenge! To align with our inspiration, you may choose to include the color red. Timing: For all of us, the most vital deadline is to get the word out before the midterm elections, November 6! Today, we’re counting on you to be the spark that helps this movement catch fire. By participating in the MOVE the VOTE project, you give MOVE the VOTE permission to repost and share your credited image(s) on MOVE The VOTE social channels and affiliated websites.